After growing up in Peterborough, Ontario I packed up and headed off to the University of Western Ontario (now Western University) in London where I studied Political Science, obtaining my B.A in 1974. To better understand and appreciate Canada and its diversity I attended 1st year Law at Dalhousie University in Halifax, Nova Scotia, before returning to Ontario and Queen's University to complete my Bachelor of Laws Degree in 1977. Having thoroughly enjoyed my undergraduate university days and London, I returned here to article, attend the Bar Admission Course and practise law. I first practised with a large litigation firm for seven years where I had the opportunity to hone my litigation and trial skills. With that solid background and with my spirit of entrepreneurship, I was a founding partner of a four lawyer firm where I handled and supervised the litigation and managed the business of the firm. Two years later, with that experience under my belt, I struck out on my own, forming my own sole practice, fulfilling a goal from my earliest days of University, to own my own business, be my own boss and conduct the practice of law as I thought it ought be practised, with the concerns and interests of my clients foremost. I have remained in sole practice since 1988, practised exclusively civil litigation and have dedicated myself and my practice to building an effective working relationship with my clients and resolving their issues by way of trial or settlement, successfully, efficiently and cost effectively. We have a profound interest in, and commitment to, foreign aid and relief work abroad. Pat and I have “adopted” a 14 year old girl in Tanzania and are underwriting her education at a boarding school for girls in the City of Tanga. We hope to see her eventually through university, and, if her dreams become reality, medical school. We are also the proud sponsors, and frequent on-site volunteers, of the Casa della Gioia Orphanage in Tanga, Tanzania, a home and family for 36 HIV orphans aged 6 months to 18 years. I also have a longstanding interest in education abroad and student exchange opportunities for Ontario teens and I sit on the Board of Directors of International Student Exchange Ontario. I am a past President and former Board Member of the Memorial Boys and Girls Club of London, the Stony Brook Sports Association, and, when my children were younger, was a member of the School Council of their elementary school. 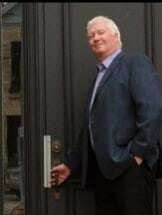 I have long been involved with, and committed to, fundraising for the Children's Hospital of Western Ontario and have acted as a legal adviser and provided my services to the Southwest London Optimist Club, I volunteer in various capacities with the PGA Canadian Open Golf Tournament, the LPGA Canadian Open Golf Tournament and Optimist International Junior Golf Tournaments. When my sons were younger, now much younger, I coached minor hockey at the highest competitive level and helped coach many minor lacrosse, soccer and football teams. I bring many unique and varied professional and life experiences to the practice of law and to the representation of my clients. I take pride not only in resolving my clients' legal problems but in familiarizing them, and making them comfortable, with the legal process in which they are involved.